Once an iconic hub of activity for people from all walks of life, the Akkulam Tourist Village was recently granted a fresh lease of life after seven long years of dormancy citing incomplete renovation works. It has only been a few months since the iconic Akkulam Tourist Village was reopened to the public, after several years of dormancy. Once a hub of activity for all kinds of visitors, the tourist village had entered into a state of indefinite shutdown in 2012, following incomplete renovation works. Finally in July 2018, Mr. Kadakampally Surendran the honourable State Minister for tourism, announced that the village would be reopened soon, following which he stayed true to his words. As of latest, the renovation works of only the children’s park and the swimming pool at the village have been completed. Nevertheless, the place has already restored its old status as tourist hub with several local and domestic tourists visiting on a daily basis. Fuelled by the recent success, the authorities are now in plans to launch a second phase for further improvements at Akkulam, as per reports in the New Indian Express. The national news agency further revealed that a sum of around 10 crore INR has been reserved for the development projects in Akkulam, by the Department of Tourism in Kerala. In addition to the above-mentioned children’s park and the swimming pool, the installation of many other amenities are also being considered. Some of the suggestions for further developments include the setting up of art installations, landscaping, bigger play areas, a restaurant block and an office site. Apart from these, the Tourism Department is also planning to re-introduce the old musical fountain and artificial waterfall, both of which used to be the star attractions back in Akkulam’s earliest days. The authorities are rumoured to make even more extensive plans later, as – a health club, a video game park, an amphitheatre, a cricket bowling pitch, a walking track and a cycling track – are also part of the speculations. The newspaper reports that the village has so far collected 2.45 lakhs INR in revenues till date, from the day of reopening. 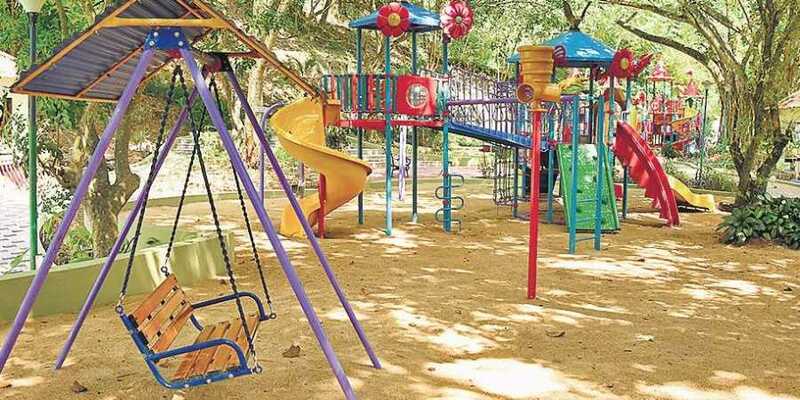 “The children’s park has been witnessing heavy rush with people from various walks of life visiting everyday,” said Bindu Mani the secretary of the District Tourism Promotion Council (DTPC). It is believed that the generated revenue will also be put to good use, in the road ahead for tourism promotions related to the Akkulam Tourist Village.